Author: Rifai, PhD, et al. This course meets the Florida one-hour specialty requirement in molecular pathology. For those certified by ASCP, this course provides 12 hours in molecular pathology. Note: The catalog description for this course was in error. 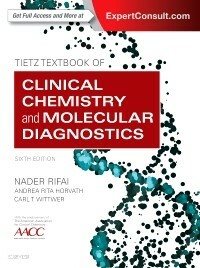 Within the pages of The Tietz Textbook of Clinical Chemistry and Molecular Diagnostics, 6th Edition is a section entitled "Molecular Diagnostics." We have selected seven chapters from this section. These chapters focus on emerging issues and techniques in the rapidly evolving and important field of molecular diagnostics and genetics. This course is intermediate to advanced.